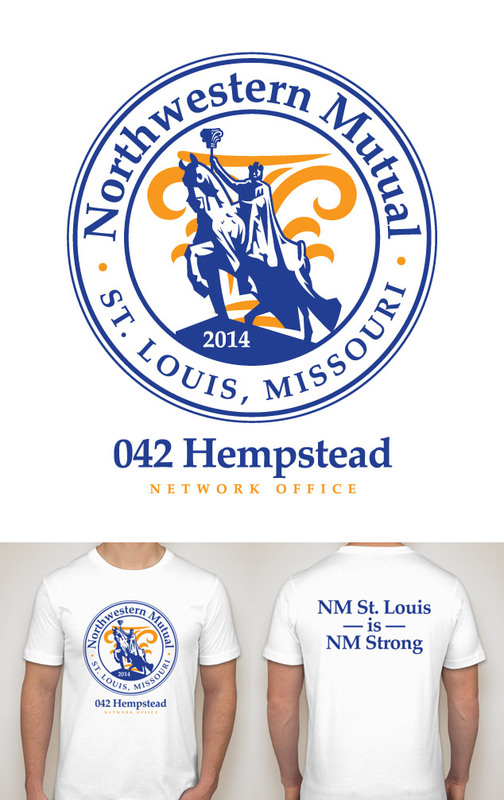 Visual Lure recently completed a custom illustrated t-shirt design for one of Northwestern Mutual Financial Network’s St. Louis offices that will be worn by all their reps at this years annual meeting in Milwaukee, WI. They requested that we use the statue of King Louis IX of France in the design, as it is a symbol of the City of St. Louis, and it looks similar to their new rep’s statue. We also added the NMFN logo to King Louis’ scepter and as a design element in the background.